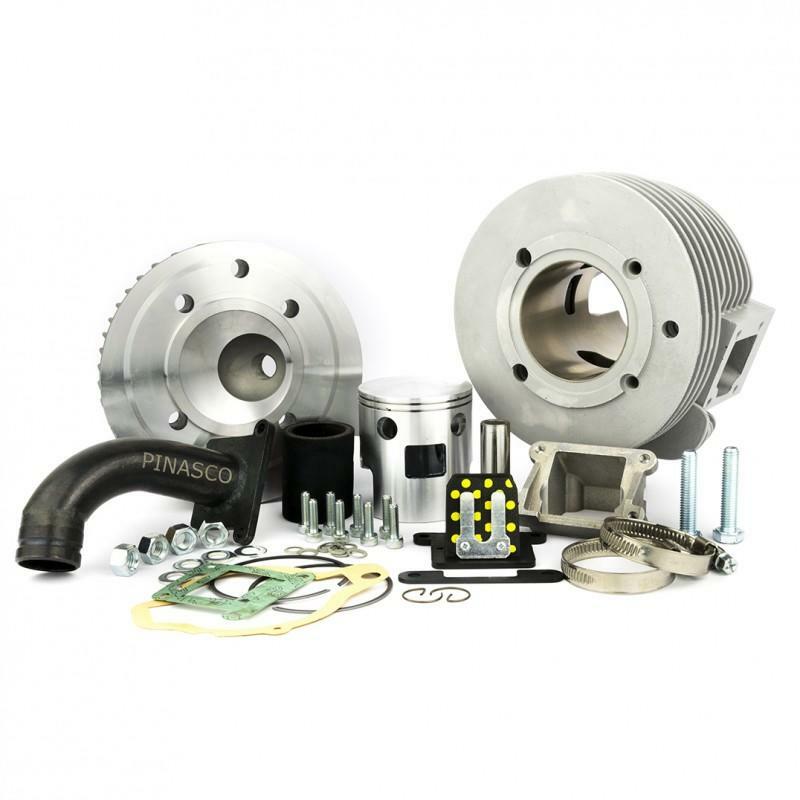 This is the amazing Pinasco "Nordkapp" 160cc aluminium cylinder kit for Wideframe Vespas with 2-port engines. The cylinder fits 125cc-150cc engines built from approx 1953 to 1959, please check with us if you are unsure. 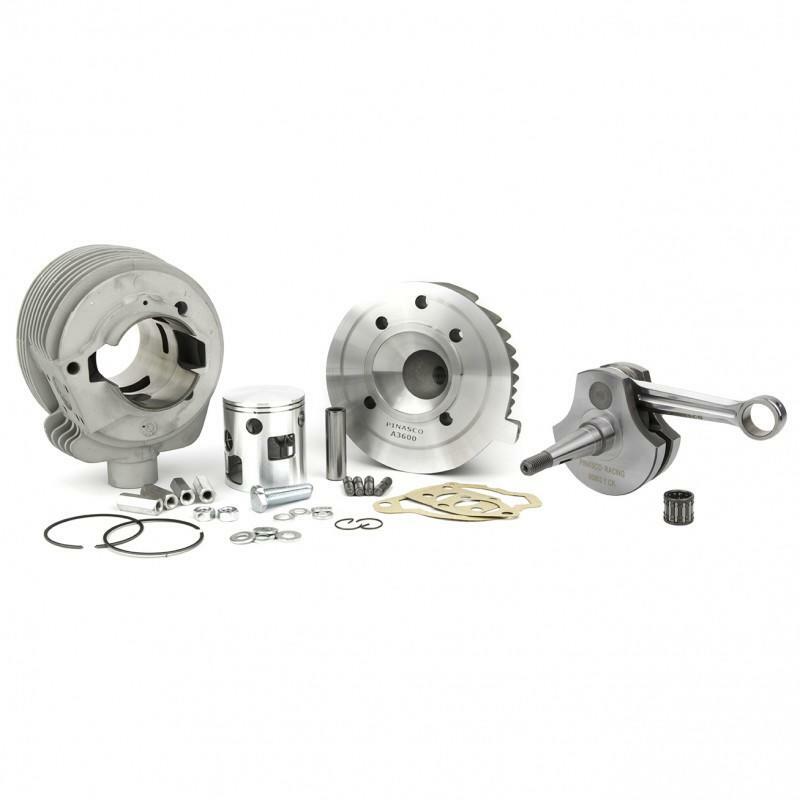 This kit includes the Pinasco 57mm stroke racing crank which works perfectly with the cylinder and allows you to reduce the oil mixture due to the needle roller small end bearing replacing the original style bronze bush. When fitting the cylinder to a 125cc engine, the original 54mm stroke crankshaft must replaced with the included (57mm) crankshaft. 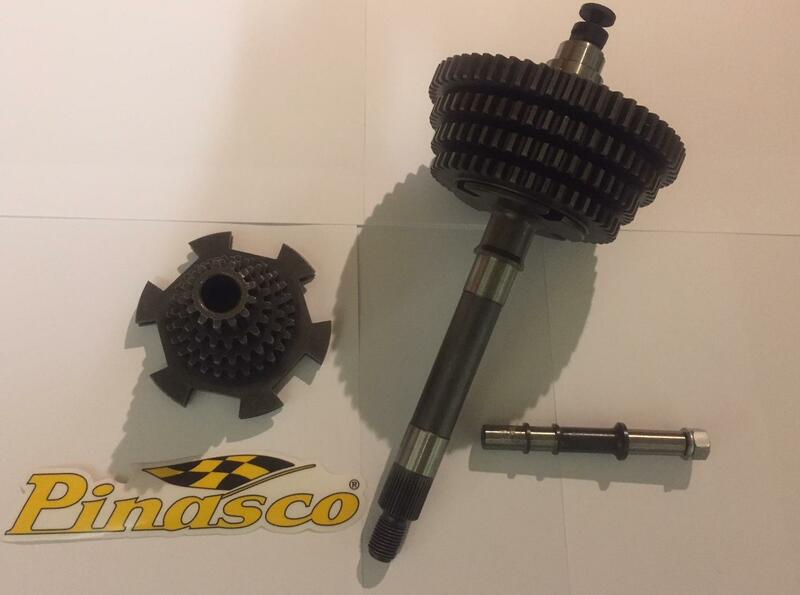 We always recommend using a new crankshaft (Pinasco or Kingwelle). 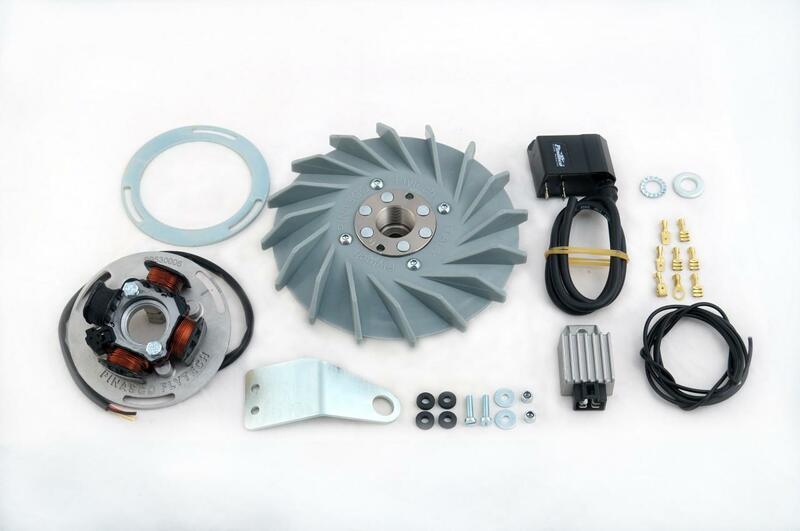 The kit is designed to give maximum power low down in the rev range which is perfect when using the original 3-speed gearbox (a 4-speed conversion is available) and you can expect a top speed of 60mph+ and 10hp+ depending on your configuration. We recommend using the Polini CP23 carburettor.